Why Congress Will Never "Just Pass A Law" Enacting The "Ignorance Tax"
Rand Paul In Defense Of Free Speech, And Is Marco Rubio A Traitor? The Answer Key To Last Edition's CtC Crossword Puzzle! The CtC Crossword Puzzle Is Back! Test Your "Income" Tax IQ! And Hey! Don't miss the great stuff in the main page of this edition! The upgraded Fifteenth Edition of CtC Is Now Available! Btw, a copy of CtC from anywhere except the link above may not be a current edition. CHECK. It matters. Also, there ARE no e-book, Kindle or .pdf versions of CtC. Don't get taken in by efforts to sell you-- or even give you for free-- any such thing. "The preservation of a free government requires, not merely that the	metes and bounds which separate each department of power be invariably maintained, but more especially that neither of them be suffered to overleap the great barrier which defends the rights of the people. The rulers who are guilty of such encroachment exceed the commission from which they derive their authority, and are TYRANTS. The people who submit to it are governed by laws made neither by themselves nor by an authority derived from them and are slaves….."
No one can guarantee success in all they do in life. But anyone can guarantee that they DESERVE success in anything they do. Be there for the next CtC Seminar in the Lone Star State!! THE VIDEO BELOW is the third of three filmed during a seminar focused on the liberating truth about the income tax revealed in Pete Hendrickson's 2003 book, 'Cracking the Code- The Fascinating Truth About Taxation In America' (CtC) and on the political landscape those revelations are meant to transform. The three parts consist of Inspiration, Education and Questions & Answers. In this video: "Questions & Answers". Part I can be found here. Part II can be found here. 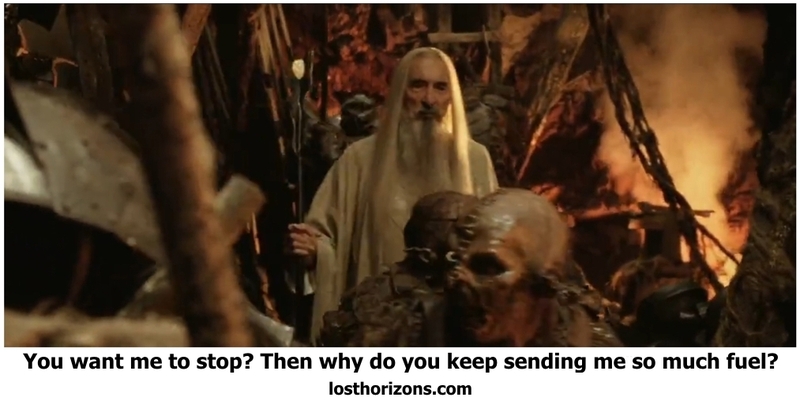 Get the Lost Horizons newsletters delivered to your inbox! Click here and subscribe to the group. Leave all options at their default settings. Done! Why Congress Will Never "Just Pass A Law" Authorizing The "Ignorance Tax"
Putting to rest a mistaken rationale for misunderstanding the huge significance of CtC. 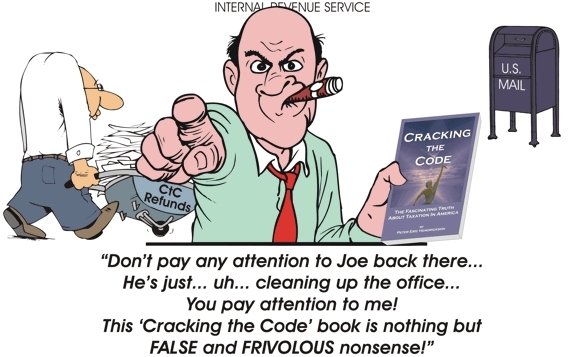 I HEARD RECENTLY FROM A GOOD WARRIOR here in Michigan that his efforts to engage the stubbornly-ignorant Paul Craig Roberts with some facts about the income tax were dismissed with a mindless retort. Roberts blew this good man off with words to the effect of, "It doesn't matter what's been revealed about the tax-- if a "loophole" exists by which the broad application of the tax can be thwarted, Congress will just pass a law sealing it up. Now stop wasting my time!" Let's take a look at the matter and debunk this silly canard. It's a classic, "garbage in - garbage out" component, which I suspect is behind the casual dismissal of CtC by many pundits who otherwise could be of enormous help in spreading the liberating, republic-restoring truth. "No capitation, or other direct, Tax shall be laid, unless in Proportion to the Census or Enumeration herein before directed to be taken." This rule remains fully in place to this day, even despite the Sixteenth Amendment, as the US Supreme Court and every other relevant authority has repeatedly acknowledged for more than 100 years. The only way a law could be passed purporting to authorize the straightforward imposition of the tax in the manner now being accomplished by subterfuge would be after a Constitutional amendment repealing the apportionment requirements for capitations and other direct taxes. (The requirement is actually found in two place in the Constitution-- in Article 1, § 2, cl. 3, as well as in the provision cited above). That's one big technical reason, and completely dispositive all on its own.. BUT THERE'S AN EVEN BIGGER REASON Congress will never simply pass a law purporting to authorize the straightforward imposition of the tax in the manner now being accomplished by subterfuge. And this one would hold true and dispose of the question even if such a law COULD be passed without a Constitutional amendment. Think about it. To even introduce a law purporting to authorize the straightforward imposition of the tax in the manner now being accomplished by subterfuge (much less a Constitutional amendment to make such a law possible) would involve admitting that the tax has been being collected without legal authority thus far! The same would be true of any effort by the Supreme Court to creatively "re-interpret" the Constitution on the subject of the tax and reverse all of its 100+ years of consistent and well-settled jurisprudence for the benefit of the tax-hungry State. Either one would mean informing every American that he or she has been being snookered out of vast sums every working year. More, it would mean that nearly every penny collected over the past three years-- nominal federal income taxes, Social security taxes, Medicare taxes and state and local income taxes-- would promptly be reclaimed by every single person from whom it had been taken (like the $billions on display here). Three years is how far back someone can reach with an amended (or previously unfiled original) income tax return to reclaim amounts collected but never actually owed as tax (plus interest). Can you imagine how big a pile of money would be drained from Uncle Sam's present and future coffers (and those of the states) in order to pay back three years' worth of improper collections? Plus interest? At a guess I'd say north of $12 trillion. Additionally, every ongoing tax agency collection action based on allegations of liability directed at any of the vast majority of Americans would evaporate. This would happen no matter how far back the origin of the allegation lay. More, the American people would, en masse, receive a deep, dramatic and seriously-memorable education about the real nature (and character) of their governments. This would lead to a much-needed epiphany about their need to abandon what previously had been imagined to be "rational ignorance" and take a firm grip on the reins. SO, C'MON, PAUL (and everyone else in denial)! Face the facts. Your dodge won't hold water, and it's way past time for pundits like you to start being part of the solution, instead of just shooting your mouth off every week about how much of a problem there is. You can do much good, and don't be misled by my harsh words. As soon as you get onto the field with those of us actually doing something, all will be forgiven and you will be most welcome. "Many a man has stumbled upon the truth, and then quickly picked himself up and hurried away." Like adults should always do. Listen to Jeff, and then stand up alongside him. Yet another grown-up, speaking truth and standing tall. These three good Americans have taken the bushels off their candles. When is YOUR light going to join theirs? Rand Paul Defends Free Speech, And Is Marco Rubio A Traitor? The assault on the Constitution by Rubio and others raises some disturbing questions. I am not in favor of boycotting Israel. Israel has been a good ally. I have traveled to Israel, and it was one of the best and most meaningful trips I have taken with my family. Standing at the Western Wall was special and powerful. Visiting old Jerusalem was incredible, and sailing on the sea of Galilee while a double rainbow glowed above us is something I will never forget. Israel is truly a unique and special place. I also agree with both supporters of Israel and PLO leaders that a boycott has the potential to hurt both Israel and the Palestinians. At the same time, I am concerned about what the role of Congress can and should be in this situation. I strongly oppose any legislation that attempts to ban boycotts or ban people who support boycotts from participating in our government or working for our government. I firmly believe we have to be very careful what powers we exercise in government—and think through whether or not we would want them used if the situation were different. WOW! EVEN WHILE UNDER THE SAME CORRUPT PRESSURE as every other member of congress to mouth praise and expressions of support for an Israel which has been nothing but contemptuous and exploitive of the American people since its inception (as detailed in this article) or face ruinous, career-threatening, special-interest political retaliation, Rand Paul manages to rise above the swamp and put America and our fundamental law first. Bless the man. A month ago I proposed consideration of the notion that speech-suppression efforts could, and should, be seen as a form of treason. I'll readily admit that in that original article I stretched the envelope a bit in order to reach speech suppression by private actors such as social media operators. I think that stretch remains viable, and welcome the debate. But I believe my argument about speech suppression being criminal certainly applies to "BDS" suppression by the feds and any state or local government without any stretching at all. The simple fact is, those attempting to suppress the advocacy or practice of boycott, divestment or sanctions aimed at ANY entity are making war on the United States Constitution and the individual liberty principles for the protection of which it exists. * In so doing, they are providing aid and comfort to the enemies of the Constitution and of the united States whose shield and sanctuary it is. 1: Treason against the United States, shall consist only in levying War against them, or in adhering to their Enemies, giving them Aid and Comfort. No Person shall be convicted of Treason unless on the Testimony of two Witnesses to the same overt Act, or on Confession in open Court. 2: The Congress shall have Power to declare the Punishment of Treason, but no Attainder of Treason shall work Corruption of Blood, or Forfeiture except during the Life of the Person attainted. Every member of Congress promoting and supporting the despicable legislative effort against which Senator Paul so eloquently and admirably writes (S.B. 1), and every state and local government official behind similar acts within their own jurisdictions, should face indictment for violation of 18 U.S.C. § 2381 and/or corresponding state laws. BUT WAIT AGAIN, BECAUSE WE'RE STILL not done here. While we're on the subject of treason and such, let's consider the fact that those in Congress behind pernicious, Constitution-violating legislative efforts like S.B. 1 (such as Marco Rubio, James Risch, and a lot of others who supported this drek in a procedural vote in the Senate on January 9) are pretty plainly putting the interests of Israel over their fidelity to the United States and the Constitution they are oath-bound to uphold and defend. The implication is that they are simply outright traitors. However, there's another possibility: Are these traitors being controlled by Israeli blackmail? Israel has nominally agreed to ignore and destroy material involving US government officials. But let's remember, these are the same folks who ran Jonathan Pollard, stole nuclear materials and strafed US sailors in lifeboats after torpedoing the USS Liberty in 1967 among many other offenses, as shown in the article on 22 U.S.C. §§ 2799aa and 2799aa-1 linked above. And frankly, even if this unscrupulous state was uncharacteristically scrupulous in this one instance, it wouldn't matter. Phone calls and emails by Rubio and others from before they became officials-- or of their wives and kids and parents and siblings and lovers and business partners-- could be just as potent for control purposes. *NOTE: Some might feel inclined or compelled to resort to the opinions of any court on the question of whether criminalizing advocacy of any kind, or criminalizing anyone's exercise of discretion regarding where and from whom one purchases goods or makes investments or who should be the target of disapprobation for bad behavior is a violation of the First Amendment's prohibition of any law abridging any or all of the freedoms of speech, religious exercise or association. Not to put too fine a point on it, such persons should be prevented from voting in future elections until having outgrown that childlike self-deprecation. "It is not the function of our Government to keep the citizen from falling into error; it is the function of the citizen to keep the Government from falling into error." See related comments here, here and here. Focus on these simple points and you can teach anyone the truth about the tax. 1. The income tax is an excise. 2. Excise taxes are taxes on the gainful exercise of privileges. 3. You probably didn't earn your money by exercising any taxable privilege (or earned very little that way). Inarguable (and nowhere disputed) proof of the first two statements above can be found concisely spelled-out in this little 7-page document. Whether the third is true for any particular person can be determined by consulting this guide to understanding "income-taxable privilege". "Like a muddied stream or a polluted fountain is the righteous man who gives way before the wicked." "A nation of sheep begets a government of wolves." What the hell is wrong with these people?! Plainly any such denier must either be abysmally stupid or be an abysmally corrupt government official or other person who sees him or herself as benefitting from the lies about the tax by which America has suffered for 75 years now. Isn't this true? How Do You Know When The State Is Lying? An old joke, but in regard to this deceiver, not a laughing matter at all. ““When principles that run against your deepest convictions begin to win the day, then battle is your calling, and peace has become sin; you must, at the price of dearest peace, lay your convictions bare before friend and enemy, with all the fire of your faith. Man, are Americans getting ripped off...! THE FOLLOWING DOCUMENT presents details of a long-running (and still-ongoing) violation of the speech, conscience and due-process rights of two Americans. The offenses, in a nutshell, involve a federal district court attempting to dictate to these two folks-- word for word-- sworn "testimony" they are ordered to make in a legal contest with the government. Click the link below to read the brief. You'll find it thoroughly supported with relevant testimony by the chief perpetrator and other similarly unambiguous exhibits. …The US may be the only country in the world where people working in the non-federal private sector must commit perjury in order to owe and pay ‘God’s things to Caesar’? 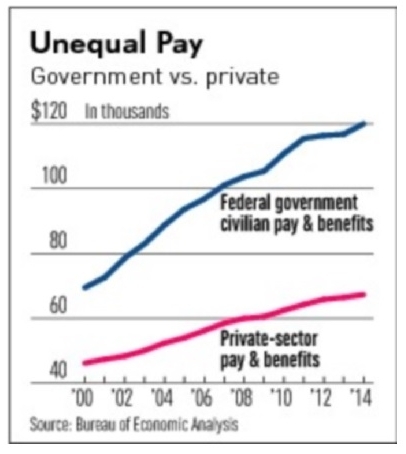 If you work in the private sector, stop falsely swearing that your private-sector earnings are federal “income”1. Perjury is a crime. Exercise the law’s provision for protecting your private-sector earnings from the 154-year-old2 indirect excise known as the federal income tax. Rebut fraudulent allegations made by your payers regarding the legal nature of your work and the earnings derived therefrom, so that you pay only your fair share. Join the hundreds of thousands of honest, law-abiding Americans who have been doing so for more than a decade. Learn how for free at losthorizons.com. 1--“We must reject… …the broad contention submitted in behalf of the government that all receipts—everything that comes in—are income…”. 2—The income tax in the United States was first instituted into law on July 1, 1862, during Lincoln’s presidency under the excise laws of the United States. The preamble to the 1939 Internal Revenue Code traces its roots to this original income tax law. UNLESS YOU'VE LOOKED, you can have no idea of the volume, intensity and mendacity deployed in the government's efforts to discourage Americans from learning what is revealed in CtC. It's truly astonishing. A lot of folks are aware of the show-trial events in which my wife and I have received state-engineered public beatings meant to scare people away from the truth about the "ignorance tax" scam. But many are unaware of the overall campaign. This is a shame, really, because a focused propaganda effort like this one is a very powerful acknowledgement of the significance of CtC's revelations. 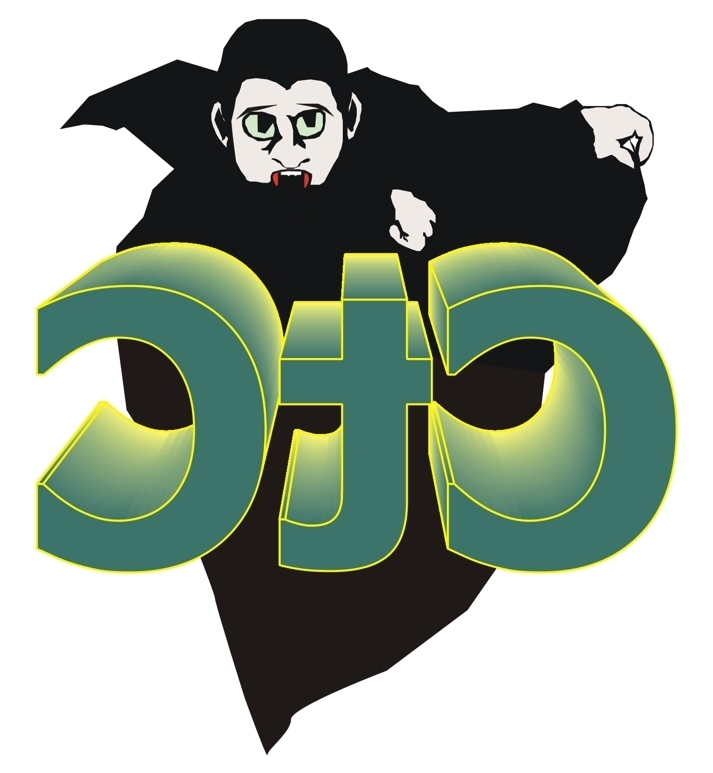 While the majority of Americans do not yet know how CtC protects them from the vampire state, the vampire itself certainly does. 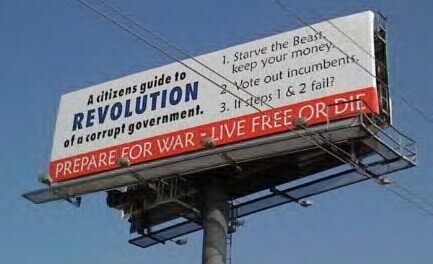 Dis-information campaigns like this one make that very clear. Losthorizons.com is one of those websites specifically-targeted by the corrupt interests at Wikipedia described by Atkisson. 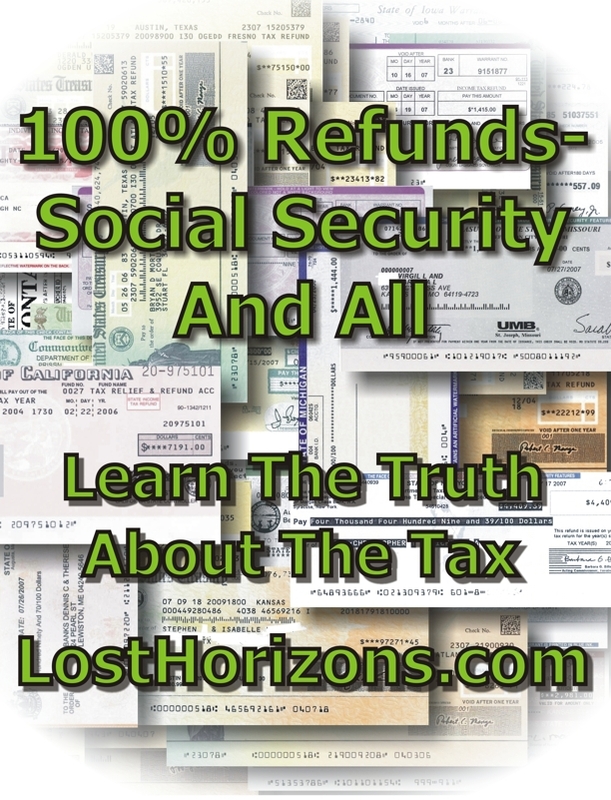 The behind-the-scenes folks at that site won't allow links on their pages to anything posted at losthorizons.com, nor even just text corrections of misinformation in their pages about the income tax. That's the least of it. Click here for some specific discussion of the enormous scare campaign that's been actively spreading false information in hope of discouraging legitimate media attention, as well as men and women simply seeking the truth about the tax and liberty from the scourge of the "ignorance tax". PLEASE GIVE SOME SERIOUS THOUGHT to the fact that YOU being secure in your own freedom rests on others learning the truth as well, and recognize that it falls to you to help overcome the dis-information campaign. Post and share your videos; share your victories; help silence the agents-provocateur and distraction-injectors whose nonsense is discussed and debunked here; and widely (and frankly, impatiently) share this page, this page and this page, challenging everyone in your address book to disconnect the phone and the TV for an afternoon and get educated. Doing these things will be what makes it happen, Cap'n. Please Help losthorizons.com Be As Effective As Possible! OVER THE LAST FEW YEARS I've heard from a number of folks that a firewall known as "Comodo" blocks access to this website. This is apparently a glitch in that program. This site is safe, as can be seen by going here. Please share this info with others in your own address book so it gets around-- obviously those suffering the ill effects of this defect in Comodo won't be able to see it here themselves until they go into their firewall settings and manually whitelist losthorizons.com. I HAVE DONE MY BEST to lead this country to liberty from the mis-applied income tax. I have labored hard. I've shed a lot of sweat, a fair bit of blood and more than a few tears. But I seem to be pretty poor at that kind of work. When I have asked all of you for what I firmly believe is a necessary resource to move the ball downfield and give all of us the best chance at justice and an end to the assault on the rule of law-- simple testimonial videos requiring nothing from any of you but the phone in your pocket and three minutes of speaking from the heart-- I have had only a handful of people answer my call. I CAN'T KEEP GOING THIS WAY. I have to be able to turn my attention away from writing new persuasive or skepticism-addressing articles week after week, and toward research, analysis and educational presentations that will benefit everyone already in this community. I need time to do some suing, and to bring together the resources and talent toward that end. As said, it is my firm belief that your testimonial videos are the resource that I need to make big things happen, and they are unquestionably the thing I need to allow me to turn my attention away from trying to get horses to drink at the waterhole to which I have led them. Your words, in your great numbers and all in your own different ways, will do that better than anything I write possibly could. And yet, you are not providing them. This, despite my having been asking you for them for many years now. Therefore, with enormous reluctance, I am making portions of this website restricted access only. People have been urging me to do this for years now, telling me I should impose a charge to access my work-product, so as to enable me to keep producing. I have never been inclined to charge fees for access. I ask for donations, and will continue to do that, and if they do not come, then I will conclude that my work is of no value to anyone, and I will close shop. But I now WILL charge a special something for access to some key portions of that work-- testimonial videos, as discussed, described and demonstrated here. SELECTED PAGES CONSTITUTING primarily "legal resources" pages now require passwords for access, and to get a password, I need your video. Similarly, if an email comes my way asking for guidance or assistance, it had best have a video attached, if I don't already have yours posted. I hate to play it this way, but I want to win. I'll tell you a story from when I was coaching my kids in soccer. Both of my kids at a certain age in their careers had run into a wall common to all but the very exceptional. They had gotten to be pretty good, and they wanted to enjoy the benefits of their hard work. But the arrival of this interest coincided with a new self-consciousness which made them reluctant to risk failing and looking foolish. So, they were hanging back from seizing the main chance when it appeared, and driving for the goal. My solution was to post on the wall of our dining room a couple of simple points about self-discipline, the chief of which is this: You can't score a goal if you don't take a shot. That's how it is here, too. If you don't stand up, you are laying down, and you'll never score that goal. Here is what my kids live by now, in their own version of that lesson. I hear it from them all the time as they excel (accompanied by the sound of a father's breast swelling with pride): Go hard, or go home. You, too. Go hard, or go home. Send those videos. Do I ask for a lot? I want your victories to post, your financial support, your efforts at spreading the word, and your beautiful faces and inspiring words, too. It IS a lot. What Makes YOU A Warrior For The Truth? We each have our reasons, and our story. It's time, and it's needed, for you to share yours with the world. "The day we see truth and do not speak is the day we begin to die." Is it simply because no moral and upstanding person has any choice when it comes to telling the truth over his or her signature, whether on tax forms or anywhere else? Is it recognition of the critical importance of the rule of law, and the knowledge that if everybody leaves its caretaking to someone else, it will soon be lost to us completely? Maybe it's just simple respect for your own rights as a human being, who is not and cannot be not involuntarily subordinated to others? Maybe it's just simple respect for your general civic responsibility to be the grown-up and enforce frugality and restraint on a big, powerful creature of our own devising which otherwise is like a badly-raised teenage boy given whiskey and car keys and let loose on the road to wreak havoc? Or is it, perhaps, a more acute anxiety that if our bonfire of a state isn't damped, and quickly, it'll soon burn down the house around us all? What IS it that firms up your jaw and stiffens your resolve? It's time to take off the bushel and share your light! I would like you to think about what it is that motivates you for a few moments (or all day, if you like), and then send me your thoughts. I want to put YOUR reasons to work inspiring folks who don't yet understand what this is all about. In this day and age, the most effective way for you to share your thinking for the benefit of others is to video-record yourself talking about how you feel, and explaining what inspires and motivates YOU. If needed, write a little script for yourself. Better, though, to just speak extemporaneously, after spending a little time sorting out your thoughts and getting down into your heart. Perhaps make it a video of someone in your family, or a close friend, interviewing you. Dress "business casual". Be well-groomed. Keep yourself to no more than 2 or 3 minutes, and keep in mind that the purpose is not to educate, but to INSPIRE, ENCOURAGE and ENERGIZE. Your video will be one of many to be shared. You needn't feel any obligation to be profound, and you shouldn't try to explain anything about the law, other than to say that you have read it and you know it's on your side. You just need to be sincere, and uplifting. Your object is to make your audience want to have what you have, and to be where you are in your heart. Don't talk to ME, or to others in the CtC-educated community. Make remarks that are suited to the NON-CtC-educated community, and at the same time, be mindful that you're speaking to an audience that doesn't yet know ANYTHING about the subject, and whose first reaction is, "This must be illegal; this must be dangerous; this is too good to be true." You want to pull that audience right past such things, and straight to a focus on truth, morality, and our American heritage of liberty and the rule of law. Speak about rights. Speak about morality, and the obligation of a grown-up and responsible person to speak the truth and to enforce the Constitution. Speak about everyone's duty to give to God what is God's, always, and to Caesar only what is really Caesar's. Speak of your obligation to respect yourself, and to look out for the current and future well-being of your children and your fellow citizens. Speak of CtC, and what its information has done for your understanding and resolve. Show the book. If you have had victories, describe them. Better still, show them, if possible. Be clear about just what you accomplished: EVERYTHING back-- Social Security, Medicare and all; a "notice of deficiency" closing notice; an on-paper agreement or acknowledgment that your earnings weren't subject to the tax and everything withheld or paid-in was an "overpayment"; a transcript showing all $0s; or whatever happened. When you speak of state victories, name the state. If you had to overcome balkiness from a tax agency before winning any victory, describe that, too! If you're in a battle now, speak of your resolve to uphold the law, come what may. If you haven't yet begun to act, speak of your decision to do so, and your plans. Remember, your purpose is to INSPIRE, ENCOURAGE and ENERGIZE. If you're dealing with ongoing balkiness, describe that, too, if you wish-- but be sure to explain why you're not discouraged, and why you are not standing down, not slinking back into the barn, and not choosing to endorse the lies. Mention what you do for a living, whether you're a doctor, homemaker, lawyer, trucker, IT guy or gal, or a retiree or student. Help people understand that the company of grown-up activist Americans they are being invited to join cuts across all demographics and all interests-- with the common denominator being respect for the law and love of the principles on which this great country was founded. This is your chance to get a LOT accomplished. We've all had frustrating occasions of trying to explain all this to a friend, neighbor, family member or co-worker, only to pile up against the wall of a mind not yet ready to listen and learn. Here is your chance to address a self-selected audience of folks who have themselves decided that it's time for them to begin paying attention, and have clicked on your testimonial for exactly that reason. Further, think about this: You want judges, bureaucrats, CPAs, lawyers, the HR people where you work, your pastors, your neighbors and everyone else to acknowledge the truth about the tax openly and straightforwardly. How and why would these folks do this if YOU won't? You want these folks to learn the truth. Why would they even recognize that there is a truth to be learned if you won't attest to having learned it yourself? You've got to stand up, face forward and chin up and tell these folks that you have studied and checked and verified and seen the evidence and seen the government evasions and you know that the tax is not the capitation that the beneficiary government wants everyone to think it is but a benign, but strictly limited thing, and that they need to study and learn that, too. Even those of you who haven't yet studied CtC have surely read this short document, and have verified everything in it for yourself. You should therefore be declaring its veracity and its message, loud and proud. Again, if you won't say it, how can you hope that others will ever even bother to look at the facts? Be the change you want to see in the world, or there won't be any change. So, please make and send those videos right away! You can share them with me via a cloud-based drive space like OneDrive.Live.com or GoogleDrive, or mail DVDs to me at 232 Oriole St., Commerce Twp., Michigan 48382, or even email to me if each file is no more than 20 megs (and you can break a video up if need be-- I can reassemble them). Render as .mpg or mp4, if possible; if not, send them how you have them and I'll make them work. Remember, the restoration of institutional respect for individual rights and the rule of law depends on enough individuals insisting upon it. Do your part to let those starting to rub the sleep from their eyes know that there is a community already waiting for their fellowship with open arms and open hearts and shining spirits. See how some of your fellow warriors for the truth have done their parts in videos sent over the years, many of which are posted here. Was Grandpa Really A Moron? Think of the federal government as a guy named Bob, who lives down the street from you in a town that is really big on bicycles. Bikes get used for commuting, deliveries, shopping, etc.. In fact, other than walking, bicycles are the exclusive form of transportation in your town. Your neighbor Bob has a by-the-mile bicycle-renting business-- "Bob's Bicycles". Bob's Bicycles is far and away the biggest business in town. Part of Bob’s success is because he does a lot of contract business. However, Bob doesn't just get paid by riders who have signed an agreement with him, or even just those using Bob's bikes. Bob gets something every time anybody in town does any riding at all, through an odd combination of circumstances that took many years to come together. I, ______________, rode a Bob's Bicycle a total of _____ miles this year. You are NOT being presumed to have made “corporate profit”. You are NOT being alleged to have received “foreign income”. You are NOT entangled in an invisible “adhesion contract”. You are NOT being obligated by a law whose subject is never identified. You are being targeted because REAL EVIDENCE exists that YOU PERSONALLY HAD “INCOME” to which the revenue laws apply-- even though that evidence is almost certainly incorrect, and CAN be corrected. Photographed on 1-70 in Missouri. America is waking up. Do You Know What Happens When YOU Decide To "Let Someone Else Do It"? "I am only one, but I am one. I cannot do everything, but I can do something. What I can do, I should do and, with the help of God, I will do." "A nation of sheep will beget a government of wolves." CtC WARRIOR SanDiegoScott has put together a great little 20-question quiz to test your knowledge of the law regarding the United States "income" tax. Test yourself, test your friends and family! 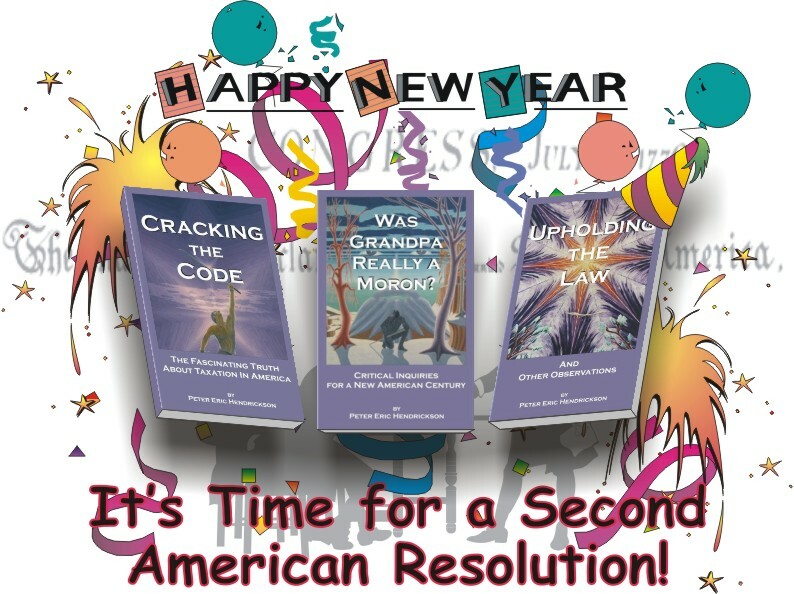 Test your accountant and tax attorney, and help them learn the liberating truth!! "Never must thou take up a false cry, or join hands with the guilty by giving false witness in their favor. Never must thou follow with the crowd in doing wrong, or be swayed by many voices so as to give false judgment; even pity for the poor must not sway thee when judgment is to be given." IF EACH PERSON receiving this newsletter each week distributed as few as 100 of any of the great outreach tools featured here to co-workers, friends, neighbors and family members (or just strangers on the street, in the mall, etc...), we could have SEVERAL MILLION new Americans suddenly introduced to the liberating truth about the tax! Just like that! In one week! C'mon, people, let's roll on this! When directed to a page by topic or link, read everything. Furthermore, when you encounter a hyperlink within, or associated with, the text you are reading, follow it! It is pretty common these days for web-based material to be littered with hyperlinks. Sometimes the purpose is to provide definitions or examples, in order to ensure that folks reading the original material aren't presented with a word or reference which they don't understand. Sometimes the links lead to illustrations pertinent to the original text. It is common-- and perfectly understandable-- for folks who are confident that they are familiar with language or references within the main text they are reading to get in the habit of skipping over included links. I do it all the time, myself! Please make a habit of clicking on all provided links and at least looking briefly to ensure that the linked page is one with which you are completely familiar from another study session. Finally, please keep in mind that, annoying though it may seem at first blush (but not, I trust, upon reflection), I constantly tweak material already posted. Obviously this doesn't mean that every page is in flux at all times, but it does mean that if you are directed to a page that IS familiar, it's worthwhile to read it through again if it's been a while since your last having done so. "Those who will not reason, are bigots, those who cannot, are fools, and those who dare not, are slaves."